An oath ceremony for incoming elected Kyadondo East Member of Parliament will be held on Tuesday, July 11, 2017 at the Parliament of Uganda in Kampala. 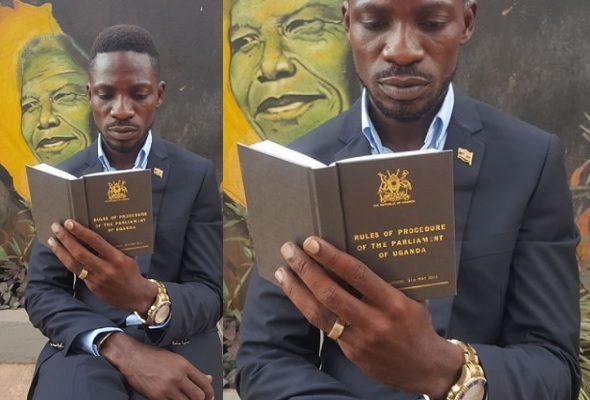 Honorable Robert Kyagulanyi Ssentamu is already armed with the rules of procedure book. 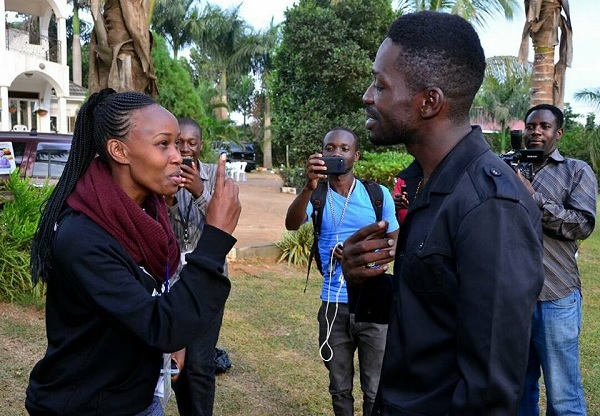 Bobi Wine as he is popularly known won by 77% of the vote, leaving 7,692 votes to be split among the other candidates, spoilt and invalid votes. The by-election results were a shocker to Mr. Apollo Katinti who was the incumbent. He previously had at least 10,000 votes, but ended up less with 8,000 votes. 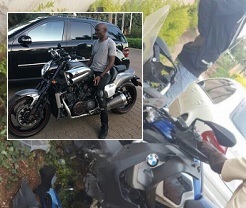 However, he held a presser today and told of how he had conceded defeat and was ready to work with the new MP. 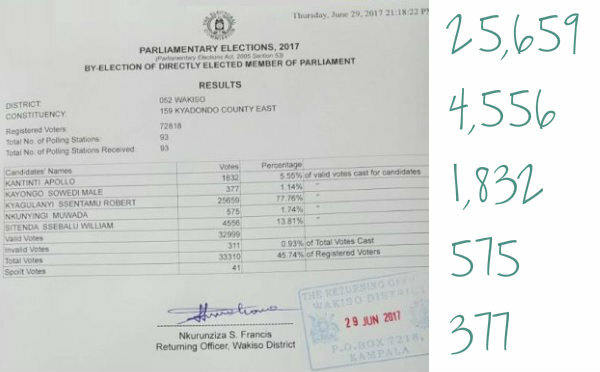 The NRM candidate is still getting to terms with the results as much as other party members accepted that they were beaten hands down.